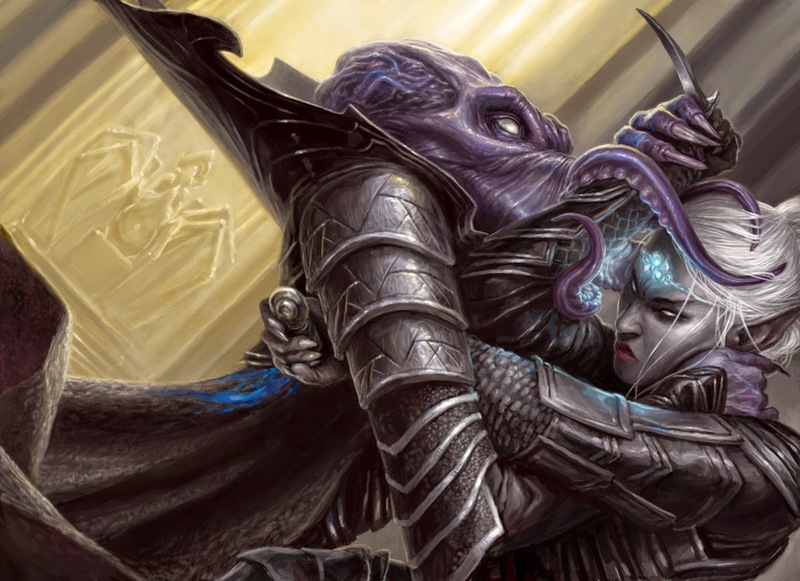 When they first arrived on Rockulon Prime, the potent psionic might of the illithids found resistance from the magics of the dying drow and the growing elf subraces. Naturally, they turned their massive intellects to the problem in the hopes of finding some countermeasure. The battle of all battles! Centuries later, with the decline of the elves and the ascent of humanity and the other demihumans, certain illithid enclaves found the answer. 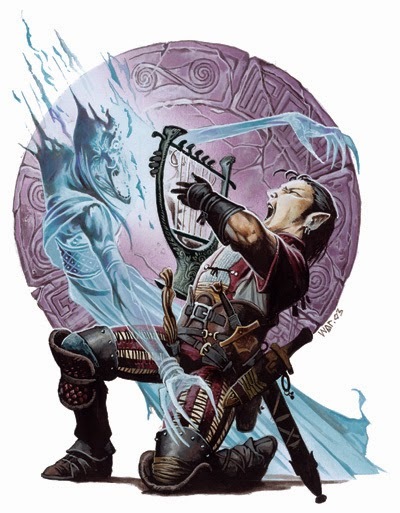 Several mages and bards learn ancient bardic music and are collectively known as the Iron Skalds, descended as they are from the traditions of the Metal Hymns of the Space-God. However, other musical traditions exist. One such tradition, hip-hopera, is of unknown pedigree — a mix of metal, drowtech-derived electronica, and tribal rhythms, various sources claim drow, half-orcs, halflings, humans, and others among the style's progenitors. 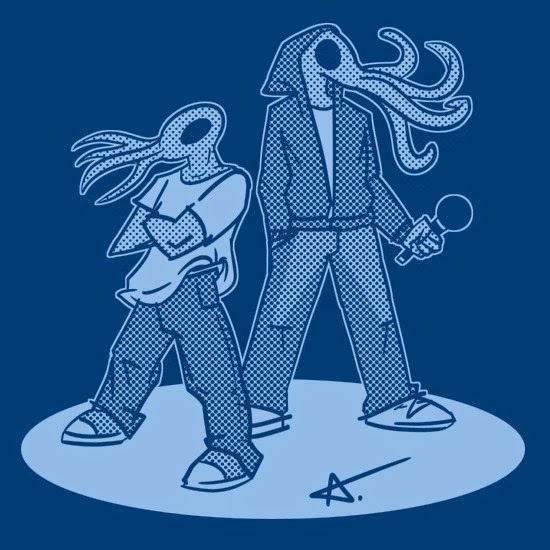 Whatever the case, the illithids determined its rhythms could act as a possible counter to Heavy Metal Hymns. These hip-hopera enclaves have become known as Ill Lithids. To act as a delivery system for these hip-hopera rhythms, Ill Lithids psychics originally relied on subvocalization and certain applications of their innate Mind Blast. However, some managed to reverse engineer old drowtech to act as an automated delivery system, powered by bloodstone fuel cells. A boombox; alternately, a "ghetto blaster." 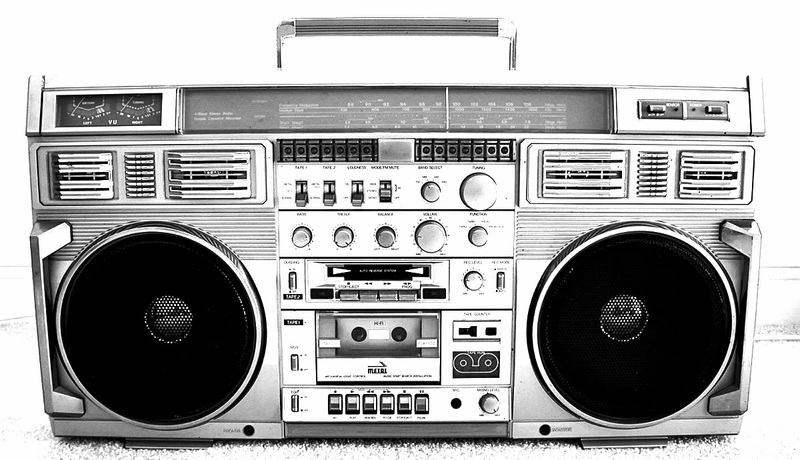 Be careful:, it is said a boombox can change the world. An alteration of an old drowtech sonic weapon, a boombox or ghetto blaster can play normal music or pump out hip-hopera jams at supernaturally enhanced decibels. A drowtech boombox works much like a Screamer from Wisdom from the Wastelands Issue #9, dealing energy and sonic damage in a cone-like shape. It is usually good for roughly twenty shots, although it may have more power, depending upon the power source. Of course, the Iron Skalds are not to be outdone.